The EUW has put forward its proposition for discussion. training, and employment, social and medical services. This state continues throughout their lives and makes them easy prey and helpless. These children are often victims of severe abuse (violence, organ trafficking, slave trade). 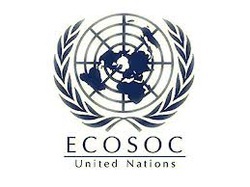 CoNGO is the Committee of Non Governmental Organisations with consultative status at the UN. The EUW is represented on the following CoNGO groups: Civil Society Development, Millenium Development Goals, World Summit on the Information Society, Earth Summit Rio +20, and Communications Programmes.